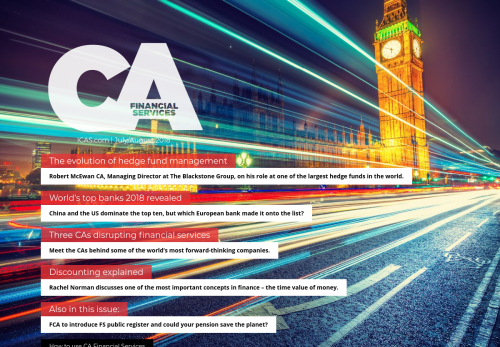 Robert McEwan CA, Managing Director at The Blackstone Group, on his role at one of the largest hedge funds in the world. China and the US dominate the top ten, but which European bank made it onto the list? Meet the CAs behind some of the world’s most forward-thinking companies. Rachel Norman discusses one of the most important concepts in finance – the time value of money. FCA to introduce FS public register and could your pension save the planet?